To all of you who bought my book, thank you so much! I’m deeply touched. My heart, like the picture above, is full. 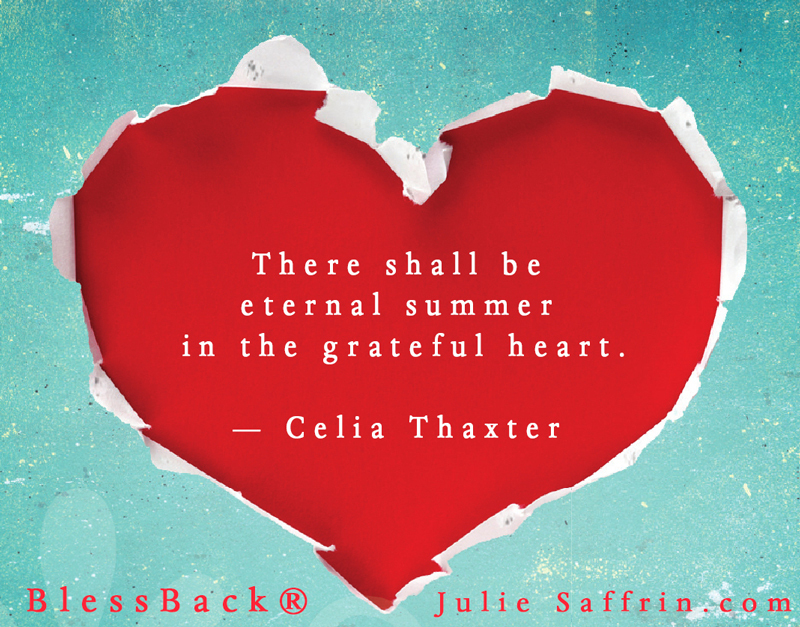 Like Celia Thaxter’s saying, I’m having an eternal summer, thanks to your kindness. Just a small heads-up for others thinking about buying the book. 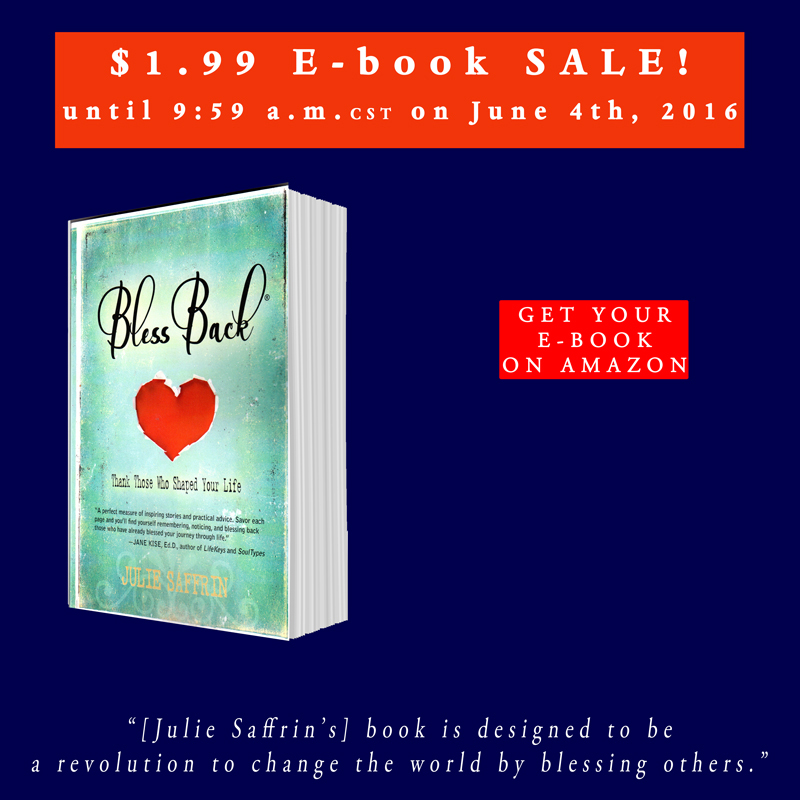 Today, June 4th is the last morning BlessBack: Thank Those Who Shaped Your Life is on sale for $1.99. At 10 a.m. CST, the book will be full price at $3.99. As my blog post earlier this week explained (read about it here and here), there are many ways to express thanks back to the significant people in our lives. On the eve of her wedding, Gretchen wanted to give her parents a permanent record of both her childhood memories and to express her gratefulness to her parents for giving her such a beautiful wedding. Gretchen’s mother, Rollie Brandt, is an artist. Her specialty is realistic paintings of barns, things found in nature and “kids being kids.” Her work is included in calendars and greeting cards, and has graced more than thirty publication covers. When Gretchen’s wedding day to Wayde approached, Gretchen designed a BlessBack to her parents in a way they would appreciate — through drawings and childhood memories. 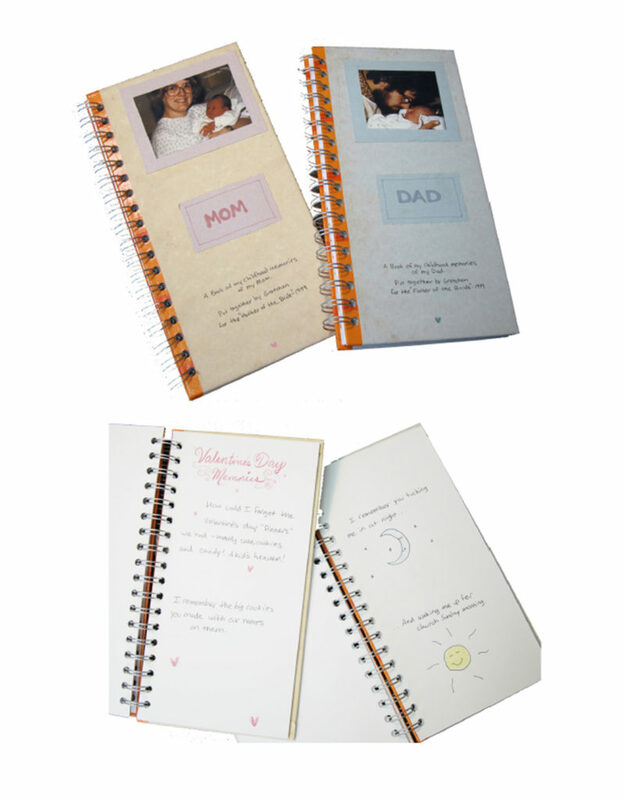 On the night of her wedding, Gretchen left two spiral-bound books, one for Mom, one for Dad, on their pillows. 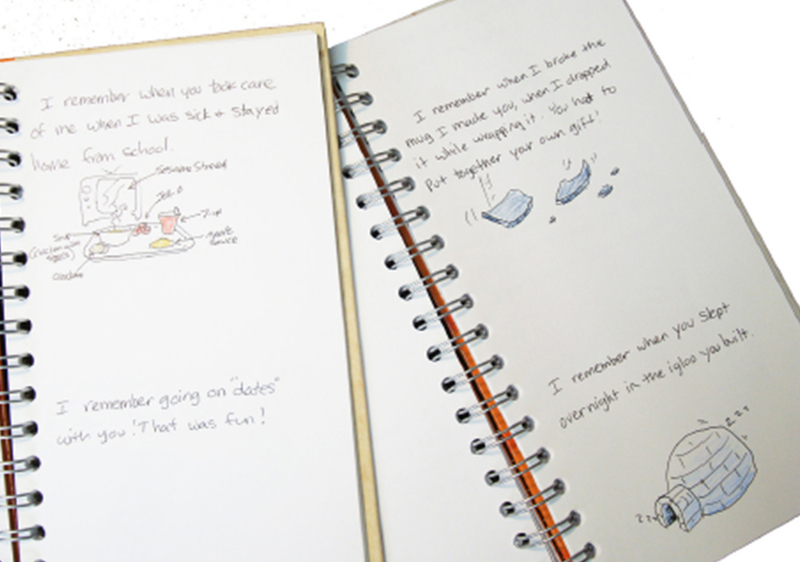 Gretchen’s drawings and words filled the book’s pages. “I remember when you used to pin notes to my shirt for the teacher. 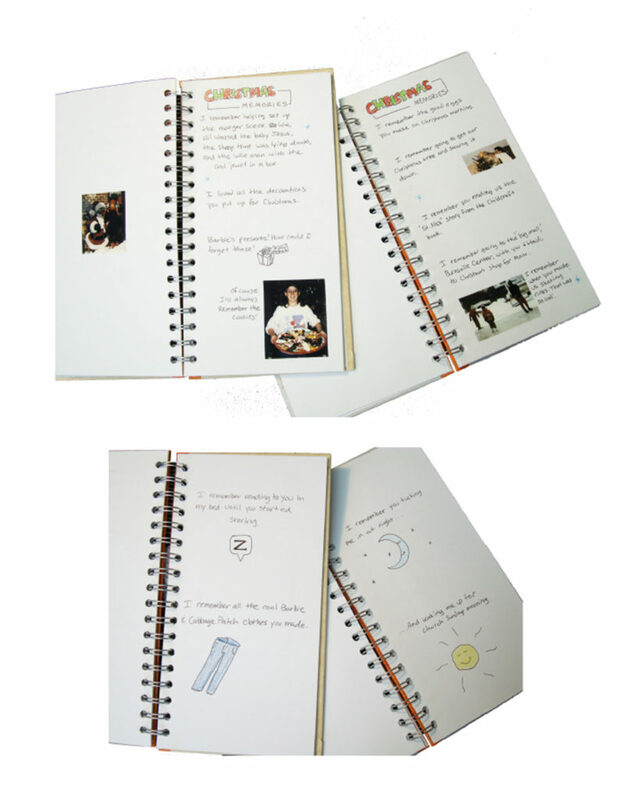 Gretchen did two things when she gave her parents the books. She thought about how it would feel for her parents to give their daughter over to a new life. She also thought about the past and, using her memories, created the books as a way to express thanks for what her parents had done for her; moreover she showed them that the way they lived their lives had not gone unnoticed. I hope you have been uplifted by the stories shared this week of how people have given BlessBacks. If you have a story to share, I’d love to hear it. From time to time I share readers’ stories of gratitude. You can write me on the contact page on this website.